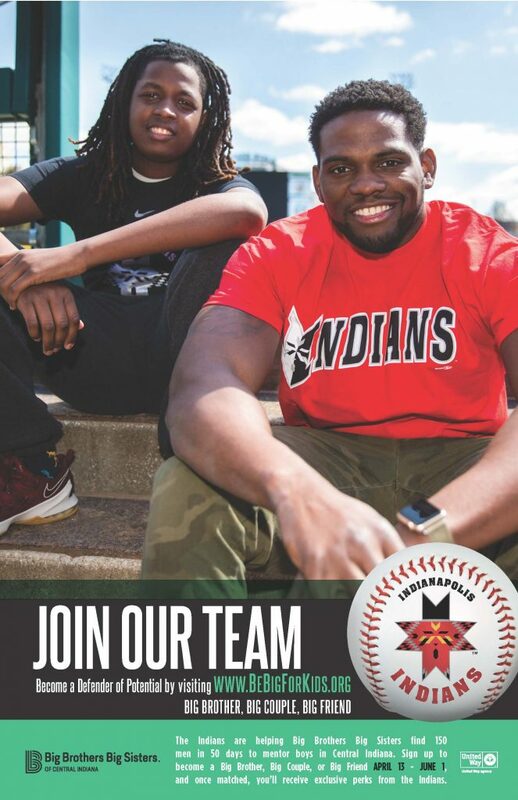 Indianapolis– For the fourth year in a row, Big Brothers Big Sisters of Central Indiana (BBBSCI) is partnering with the Indianapolis Indians in an effort to recruit 150 adult male volunteers in 50 days and raise awareness of the importance of mentoring. The campaign begins April 13 and ends on June 1, 2019. This yearly campaign was launched by BBBSCI in 2014 to meet the overwhelming need for male mentors. Previously named the “100 Men in 50 Days” recruitment campaign, this year BBBSCI and the Indians are increasing the campaign goal to meet the increasing need for more male mentors as BBBSCI’S 1-to-1 mentoring program continues to grow and serve more youth. 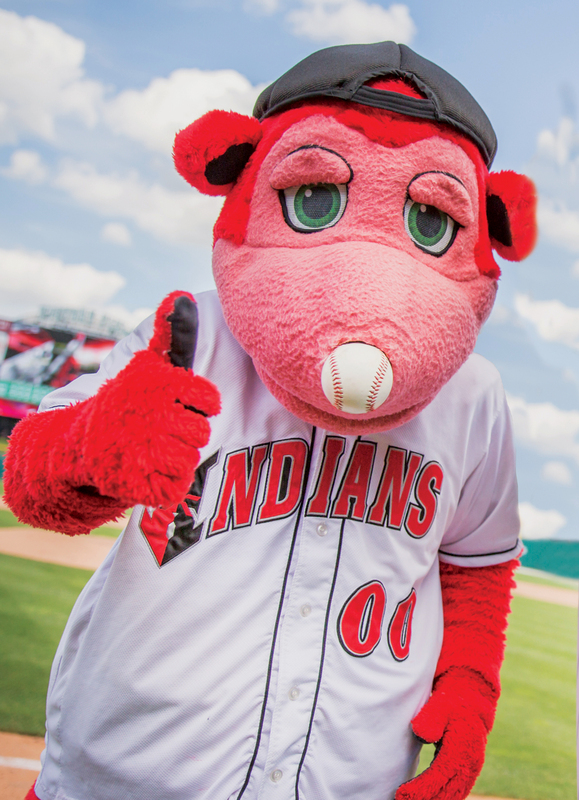 The Indianapolis Indians are serving as the Presenting Partner for the campaign and will offer Knot Hole Club memberships to Bigs and Littles matched as a result of the campaign, as well as make special appearances at BBBSCI events during the campaign. Companies and individuals who are interested in getting involved with BBBSCI are encouraged to contact Rick Belbutoski, Corporate Volunteer Outreach and Engagement Coordinator, at: [email protected] or / 317-472-3720 or visit the website at: www.bebigforkids.org/volunteer. Big Brothers Big Sisters of Central Indiana will serve 1,300 youth this year by proving them with mentors (Bigs). BBBSCI partners with parents, guardians, volunteers, schools, donors, and others in the community to be accountable for helping youth in our program achieve higher aspirations, greater confidence, educational success, and avoidance of risky behaviors. An affiliate of Big Brothers Big Sisters of America and a United Way partner, Big Brothers Big Sisters of Central Indiana is a non-profit organization that provides children facing adversity with strong and enduring, professionally supported 1-to-1 relationships that change their lives for the better, forever. The Indianapolis Indians are the professional Triple-A baseball club affiliate of the Pittsburgh Pirates. In continuous operation since 1902, the organization believes in creating affordable and memorable experiences for fans so they can grow closer together with family, friends and the community through the game of baseball. The Indians play their home games at Victory Field, a 14,200-seat ballpark located in downtown Indianapolis and White River State Park. The venue opened in 1996 and has received numerous national accolades as one of the best minor league ballparks in the United States. The team has led Minor League Baseball in combined total attendance over the past six seasons. In 2018, the organization was recognized as Ballpark Digest Team of the Year. It was also named a 2019 Best Places to Work by the Indiana Chamber of Commerce.